Accurate Clairvoyant readings... no tools used! Clear, accurate. experienced psychic with high accuracy rating! Repeat clientele at ethical prices! Adviser on Keen since 2008. I offer aid in matters of love and business. I am clairaudient, clairsentient and empathic. MFA. She was very positive and reassuring. She didnt connect with me well and was saying a bunch general things. Love her, fast, accurate and soft spoken. She doesn’t make the conversation about her. Awesome advisor! EMAIL READINGS ARE 5.00 DOLLARS FOR 2 QUESTIONS TODAY ONLY.. Accurate experienced psychic; clairaudient, clairsentient and empathic; I am from a rich spiritual background rooted in both Druid and Chiricuhua Apache Indian heritage; I have helped many and have current experience working on several reputable psychic lines. If you are in need of guidance on love or career paths, I am here to help you! I am also an educated professional, currently completing my MFA in Creative Writing/Communications. I am adept at communicating with many people across multiple cultures and economic backgrounds. You WILL be treated as an equal by me. I run additional specials also, made available only to my regular callers, so please feel free to call and take advantage of those! My clients over my career as a reader have included T.V. and music celebrities, law enforcement and government officials, homemakers, educators, and a diverse selection of people from all economic and international backgrounds. It's a honor to read for all of you! Thank you! A recent review from my client in Norway: 11/10/2015 Lightlight : 5 stars Always on point, all the way from the US to Norway! Thank you very much for a wonderful, high spirited, positive and caring reading. You pick up so well on people and energies. My go-to person when I feel the need to know details about a situation. Very reassuring and wise. Blessings to you! Background information/experience: I was recently legally ordained by the Universal Life Church. Tested for accuracy. 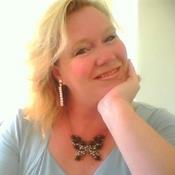 I am a Life Coach , and am educated with a BA in English Lit and International Relations. Currently pursuing an MFA in Creative Writing and Popular Fiction. Please do not ask me to do medical or legal readings; I am not a replacement for your doctor or lawyer -- thank you! Melanie Rain has been a user of Keen since 2008. Getting Love & Relationships advice from Melanie Rain through www.keen.com is safe, secure and confidential.